Due to the snow, I hope you, like me, will be at home relaxing. 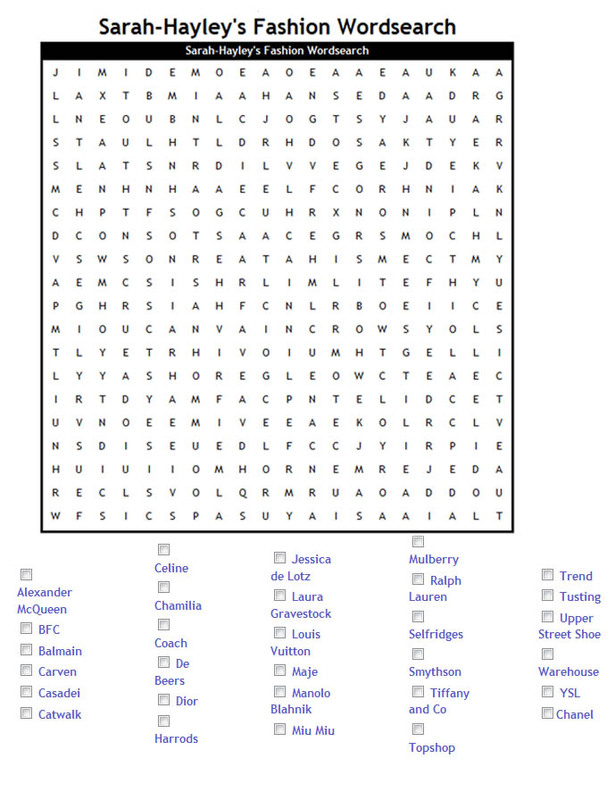 To add a fashion element to your day I created a fashion word search, with some of my favourite design houses and brands listed! I hope you enjoy!